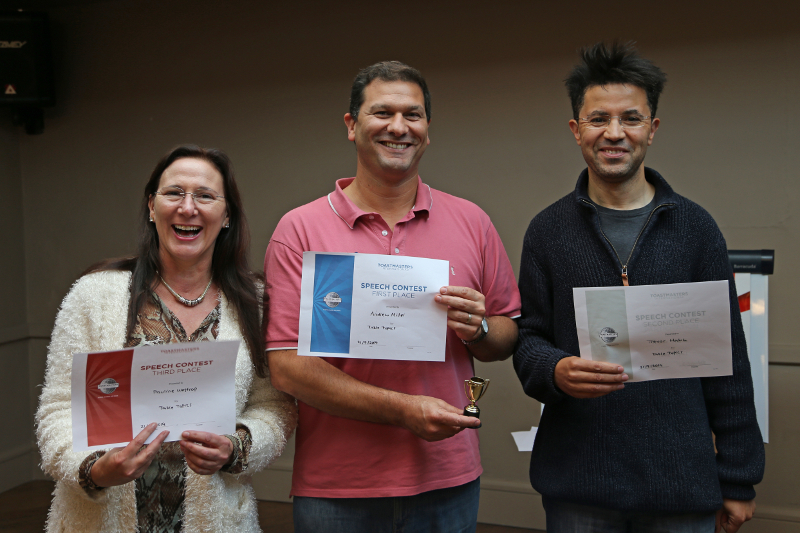 We held our Doncaster Speakers (club-level) Autumn Contest on 8th September: The Humorous Speaking Contest and the Table Topics Contest. 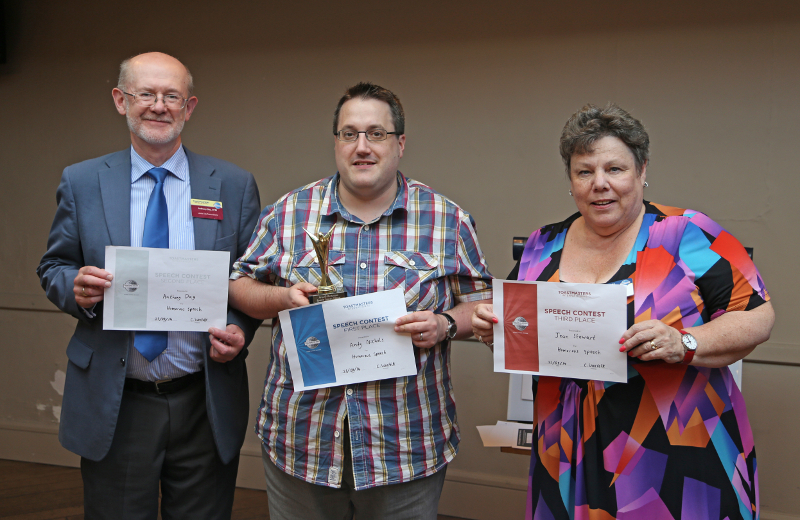 The winners (Jean Stewart for Humorous Speaking and Andrew Miller for Table Topics) then competed against the winners from the other Area 15 clubs (Leeds City Toastmasters, Sheffield Speakers, White Rose Speakers, Huddersfield Cummins Toastmasters, Hull Speakers) in our Area 15 Autumn Speech contest, which we hosted at The Regent Hotel again yesterday. 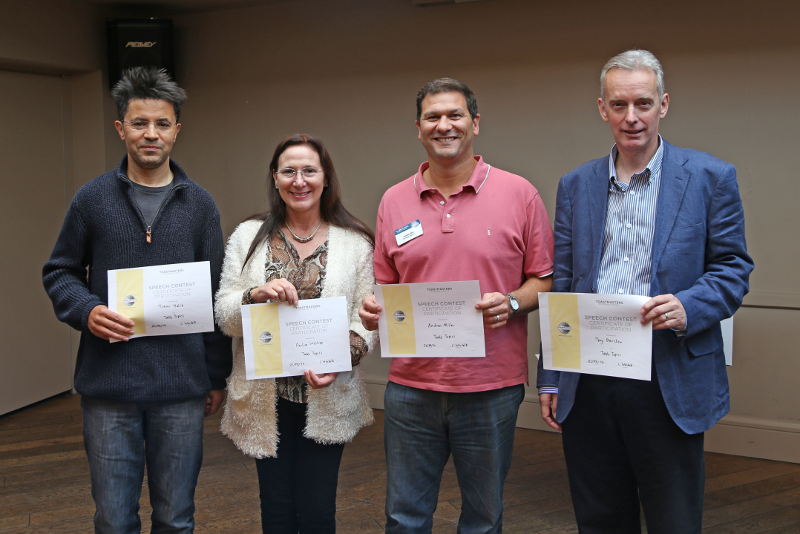 “It was a fantastic day with lots of fun/laughter but also many opportunities to learn from watching all the winners from the different Area 15 clubs and network with Toastmasters from outside our own club. Attending Area/Division/District contests is a brilliant way to observe and learn from great speakers. 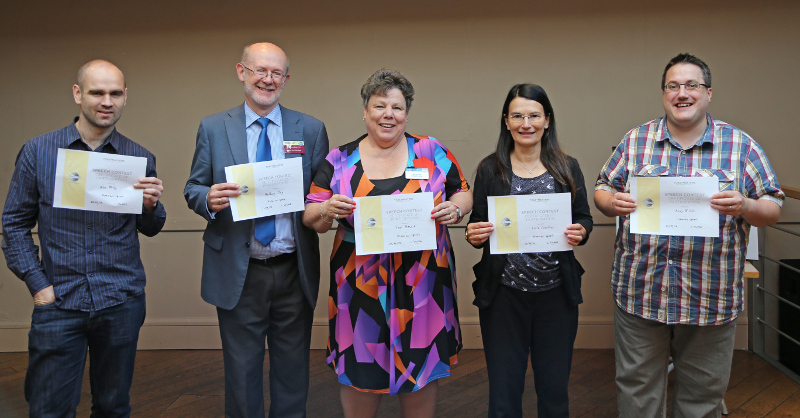 Jean Stewart and Andrew Miller made Doncaster Speakers proud: Jean placed 3rd in the Humorous Speech contest, having faced stiff competition, and Andrew Miller placed first in an equally challenging Table Topics contest. Andrew will now go on to represent Doncaster Speakers in the Division E Table Topics Contest in Harrogate on 26th October! 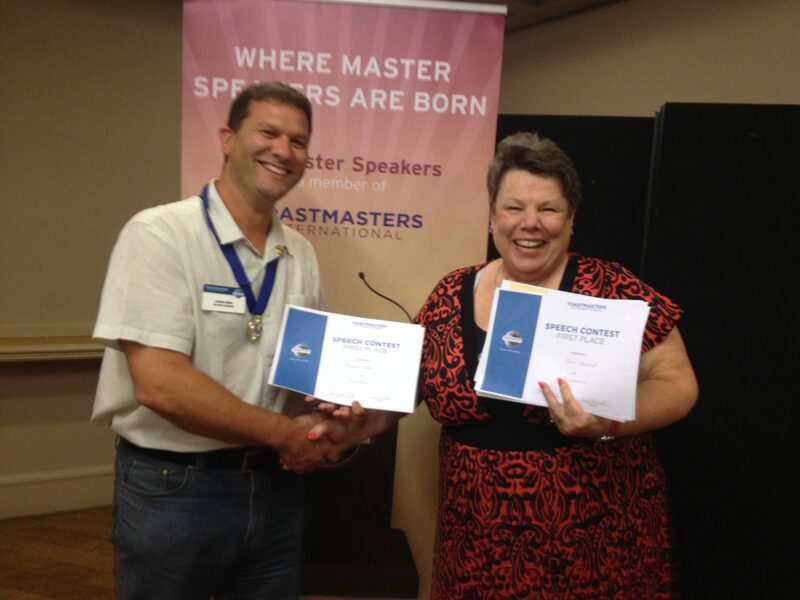 Posted on 22 September 2014, in Contests, News and tagged contest, doncaster speakers, humorous speaking, humorous speech, humorous speech contest, speaking contest doncaster, speaking contest yorkshire, table topics, table topics contest, toastmasters international, toastmasters international doncaster. Bookmark the permalink. 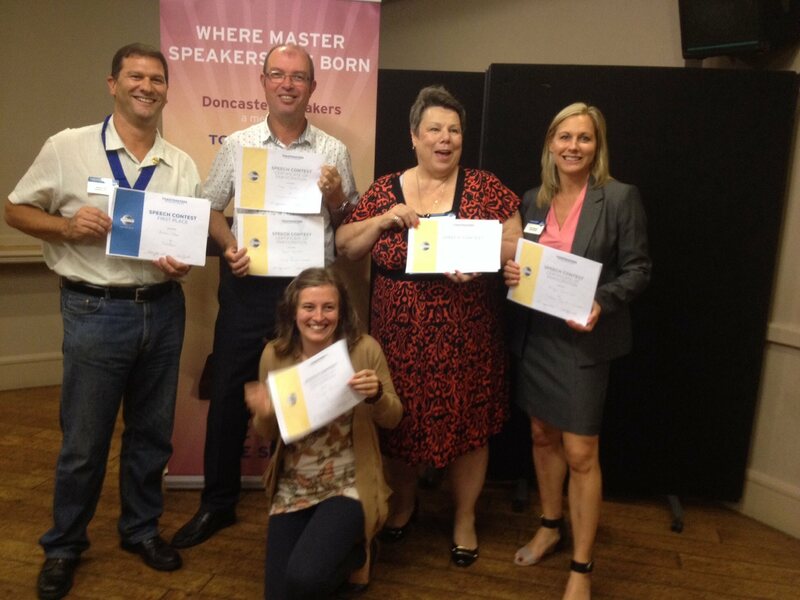 Comments Off on Andrew Miller will fly the flag for Doncaster Speakers in Harrogate.